Crime is increasing day by day. Everyone is worried about their security. That is why many people keep a gun in their home for protection. Unfortunately, not everyone stores them safely. As a result, it leads to unfortunate situations. According to US studies, 89% of accidental shooting deaths among children occur due to improper gun storage. Hence, before you wish to purchase a gun, you should think about its safety and how you’re going to protect it. Here is where gun safes come in play. Please call Jim Bryan Safes at 305-321-3118 or email us at fourbryans@aol.com for a free estimate. We provide, install, move and deliver safes in South Florida. Gun safes are specially designed to keep your firearms safe and away from the kids to avoid any accidental deaths and misuse. Not only these gun safes can store your pistol and personal armories, but they also have enough room to keep other valuable things including jewelry, cash, important documents, etc. If you are planning to buy a gun safe, then it can turn out to be the best decision of your life. However, with countless numbers of options available in the market, it is difficult to decide which one to choose. So, here we are going to give a list of popular gun safe manufacturers. 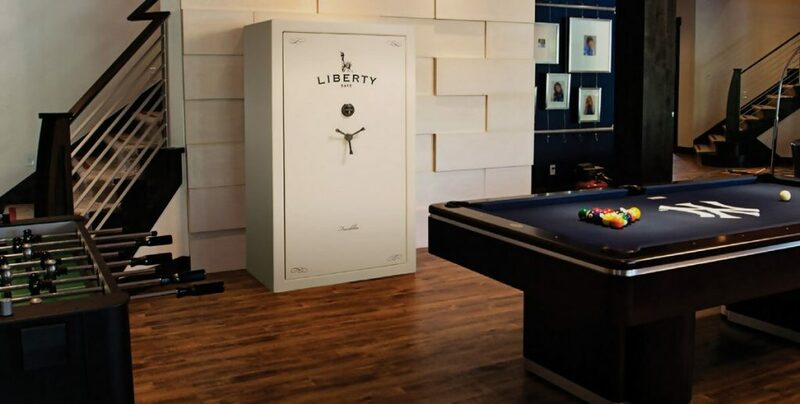 Liberty Safe: Based out of Utah, Liberty is America’s #1 manufacturer of commercial safes, residential safes, gun safes, wall and floor safes. They are in this business since 1988, and now they have a manufacturing unit of 205,000 square feet. They are known for designing high-quality and reliable products. Not only Liberty safes are equipped with advanced technology, but also tested by Underwriters laboratories and pass UL requirements. American Security (AMSEC): American Security or AMSEC is another manufacturer known for offering high-quality home safes and gun safes. AMSEC offers a wide range of gun safes with varying prices. These gun safes can accommodate from 20 guns to 75 guns at the same time and will stay safe from fire from 90 minutes and 2-hours respectively. They also offer numerous electronic lock and electronic security systems. Rhino Safes: Whether you need a stylish gun safe with a large capacity or you are seeking a budget-friendly gun safe, Rhino has got you covered. The Rhino gun safe features both good looks and fire protection for up to 130 minutes. They also manufacture under bed safes that allows you immediate access to gun and safety accessories. Cannon Safes: Cannon products are designed to last longer in a broad range of sizes that can accommodate the needs of both gun enthusiastic as well as an individual who just want to keep one or two guns for personal protection. Though Cannon safes feature electrical locks and dial devices, which one you will choose, it all depends on your preferences. Both can effectively protect your gun and keep it away from the kids at home. 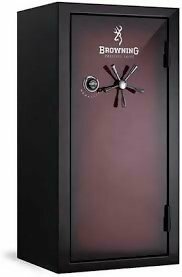 The list of renowned gun safe brands is not limited to above-mentioned brands; We provide many more such as Browning, Gardall, Brown Safe and many more. All these brands can deliver high-quality gun safe at your doorstep. If you own a gun and need a gun safe, then Please call Jim Bryan Safes at 305-321-3118 or email us at fourbryans@aol.com for a free quote. it will cost a little bit high, the quality of gun safe will worth the money you spend in it. Moreover, some of them also offer Gun safe delivery and installation services as well. For more information, explore the internet. Consult with a Gun Safe Expert Today!